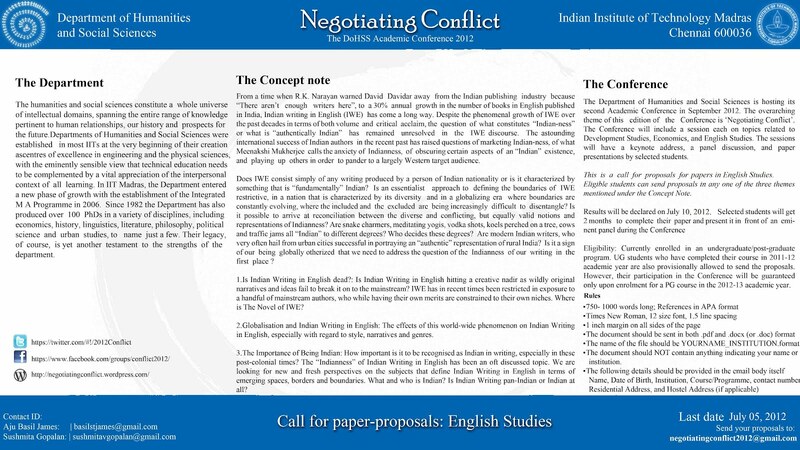 The English stream of the conference looks to address the phenomenon of Indian Writing in English. With a 30% annual growth rate in English books published in India, it is evident that the Indian writer is no longer cause for raised eyebrows and tones of surprise. However, the knowledge of the extent of our national diversity gives rise to a multitude of questions.Who is this ‘Indian’ writer and what is the ‘India’ that is written about? Can there be a singular concept of India and how much does globalization affect this picture? Considering the dearth of new ideas hitting the bookshelves, have we hit a creative roadblock? 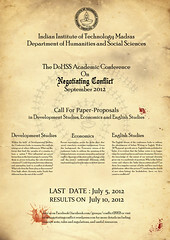 This entry was posted in Details and tagged Call for Papers, English Studies, Indian Writing in English. Bookmark the permalink.